Jemma and Ryan only asked me to photograph their wedding back in February this year. Quite short notice for many couple who normally arrange their wedding photographer 12 months in advance. Fortunately I was free - helped by the fact it was a Sunday. They asked for a wedding shoot with no bridal preparation which is always something that some people consider to be quite personal, and I always say that every couple has their own vision and requirements so I’m always more than happy to discuss this. As always I did the initial meeting then pre-wedding consultation to make sure I was getting the wedding photographs they wanted. I always prepare my kit a day in advance for weddings. We can’t be having gear failure during the day so its a form of insurance I suppose. All lens are cleaned, batteries are charged and spares are prepared. So with two camera bodies and 2 lens, one telephoto and one walk around, I set off. Then came the big day. 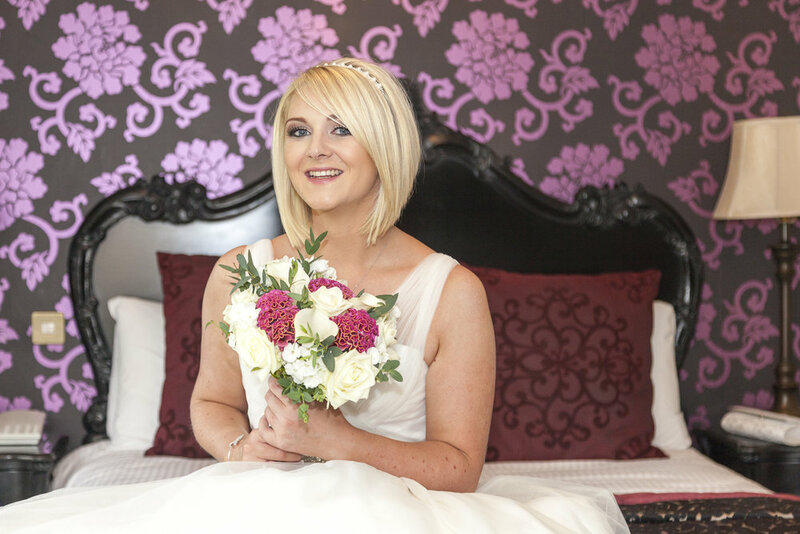 It was lovely sunny Sunday in July when I shot Jemma and Ryan's wedding photographs at the Red Hall Hotel in Bury. A venue I'm familiar with having now done several weddings there. The only problem was the wind and brooding rain clouds floating about. This meant that the group and couple photos outside were proving difficult due to the wind. Poor Jemma’s hair was getting blown all over the place and Ryan’s mum nearly lost her hat on one gust of wind. We persevered though and managed to get the wedding photos they wanted plus a lot more. I’m delighted to be able to say that they loved their wedding photographs. I’m very grateful that they let me be a part of their big day too. It’s always lovely to be able to think back to the day when I write up these posts and I look forward to the wedding I have booked in for 2016.